In our organization, the most important and what I am most proud of is our workers. Day after day, they seek perfection and by combining each and everyone's expertise and ideas, we constantly improve the quality of our products. This allows us to remain on the market forefront and offer products that will satisfy our customers. Thank you for your trust! It is what has permitted us to be who we are today. Newly graduated machinist and maintenance mechanic, Mr. Denys Duchesne left his hometown for the Saguenay-Lac-Saint-Jean region where he worked for 7 years. That period allowed him to gain a solid experience in the pulp and paper industry, as well as in aluminum smelting and ship repairs. Relentless and committed worker, his managers quickly noticed his leadership skills and ingenuity; however, the desire to come back to his hometown revealed through time. After conducting a market research indicating the need for a machining and welding service in La Tuque, Mr. Duchesne seized the opportunity and started his own business. Offer products & services that meet the expectations of our customers. Creation of the company in a modest, 2500 square feet, rented space with offices located in an outside construction trailer. The services offered at that time were conventional machining, specialized welding, on-site maintenance for sawing workshops, pulp and paper mills, and railroad companies in La Tuque. In order to meet the growing demand and to improve the efficiency of its operations, the society acquires and moves into a 17 200-square-foot building. With the installation of a 15-ton capacity overhead crane and a numerically controlled cutting table, Pro-Mec Elite now adds to its services the cutting of steel plates, as well as the welding of steel structures and large-sized fabricated metals. The company now aims for new markets outside the region. Pro-Mec Elite acquires a trailer truck to offer a personalized delivery service to meet the needs of its customers. ISO 9001: 2008 accreditation grants a wider customer range to serve in the construction industry and meets the specification requirements to carry out larger scale projects everywhere in the province. 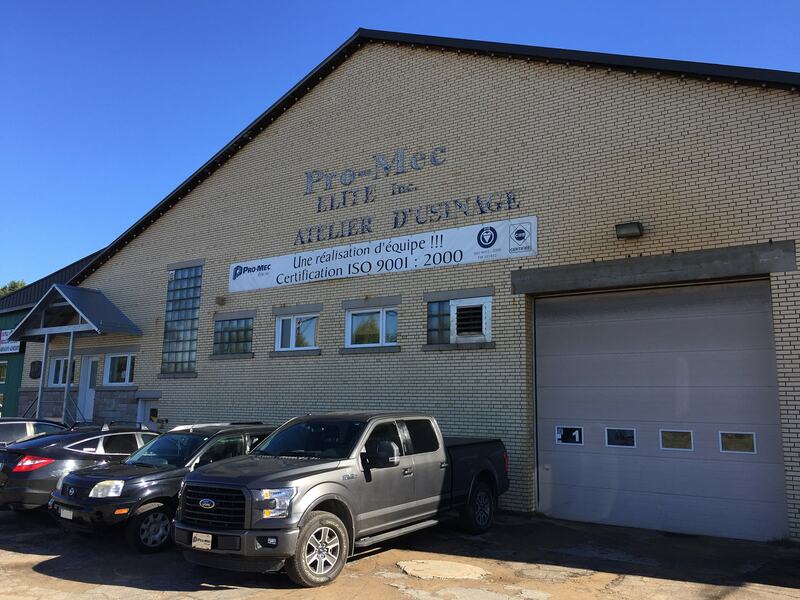 Pro-Mec Elite invests more than a million dollars in the acquisition of a Drill-line, an automated drilling machine for steel profiles. This investment significantly increases the shop's production capacity and allows the company to offer a subcontracting service to other structural steel fabricators. The door is now wide open for the realization of large-scale projects everywhere in Canada and in the United States. The society obtains the W47.1 division 1 accreditation by the Canadian Welding Bureau (CWB). 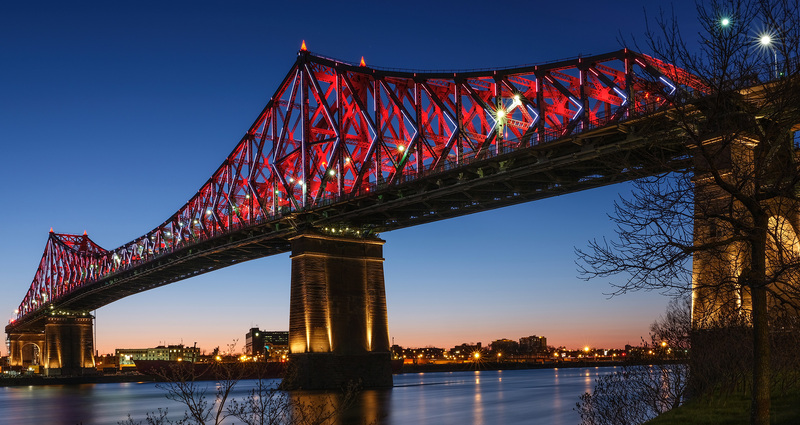 This allows for an opportunity to stand out, enlarge its activity field, and directly work on infrastructure projects for the Quebec Ministry of Transportation (MTQ). In order to enhance its welding service of large size components, the company purchases a 30 000 pounds capacity lift. Pro-Mec Elite is awarded "Company of the year" at the Desjardins Action 2011 Gala. It also distinguishes itself in the category of Market Development and Industrial Subcontracting at a regional and provincial scale for its gain of new markets. To better answer the needs of structural steel projects, the company buys the software "Graitec Advance Steel". This 3D modelling software greatly improved the quality and efficiency of the drafting and conception departments. Handling of parts and assemblies in the factory is optimized with the acquisition of a second overhead crane of 15 tons capacity, allowing for a new total lifting capacity of 60 000 pounds. Pro-Mec Elite joins the "Steel Plus Network", permitting the society to benefit from a new network of business partners. One of our welding inspectors gains level 2 certification in accordance with norm CSA W178.2, hence enabling the reach for new markets. Our capacity to adapt to new situations. The happiness of working together in a dynamic ambience. Distinguished state of the art methods and practices. The pleasure of learning and sharing our knowledge together. To our customer service driven by effort, devotion, and dependability. Surprising you with our creativity. The satisfaction of attaining our goals altogether. Being able to rely on one another and build a long-term relationship.